When we argue about the significance of direct foreign investments, we have to point out these investments are of particular importance for integrated countries experiencing the transition into the global economy. Open systems, such as the socio-economic system, operate at the highest level of power, without the risk of entropy, except in case they have a sufficiently objective function that will be understood in a wide social range. During the transition, this is precisely the function that is missing or the part that is not clearly defined. Therefore, according to some authors, it is necessary that the economic level in the transition process focuses more on privatization, whereas the social level should be maintained as a non-exclusive society, meaning that the private property and non-exclusive society are the key objectives that give a purpose to transition and provide the scalability or an exit from the crisis. The term “transition” is often replaced with the term “transformation” and these words are considered synonyms even in professional literature. Thus, economic transition becomes the transformation of the economy. After all, only a radical change, progressive or regressive, such as transformation, can be considered a transition. The success of the transition process can be reflected in real revenue growth, successfully creating a competent market, as well as the application of structural reforms, reforms of the labor market, and microeconomic policies. 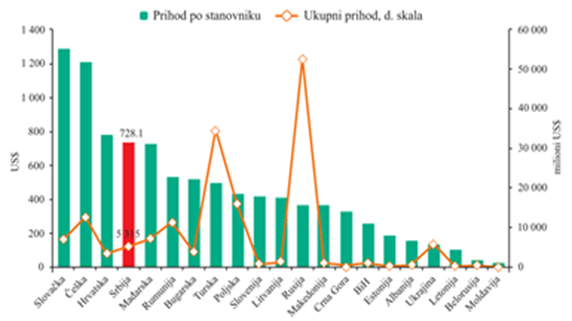 Figure 1 is a graphic representation of the income level per capita and total foreign investment income in countries in the region, expressed in millions of US dollars (Nikolić, 2010, 10). As you can notice, an increase in foreign investment income doesn’t have to be accompanied by an increased per capita income in one country. Also, it is quite interesting that the presence of multinational companies can often result in a decrease in the output of domestic firms, which can have a negative impact on the degree of utilization of their capacities and the possibility of using the effects of economy of scale. This situation leads to a decline in productivity of domestic enterprises, as well as a decline in their ability to compete in the market. Of course, the perceptions of an integration access have increased the reforms in the countries of Central and Eastern Europe that were found on the list of future members. One of the biggest advantages of this process is exactly the arrival of foreign direct investments that support rapid economic development. However, it takes several decades for a country in transition to reach the level of income such as those of EU state members. 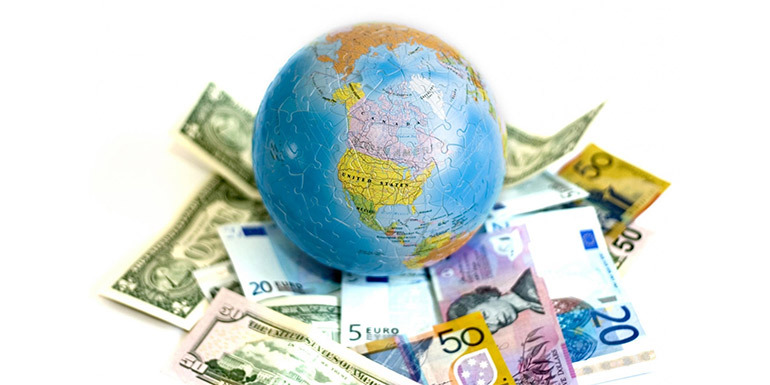 Moreover, the increase of consumption and fast economic growth of the countries in transition and countries in development can be explained via capital flow and investments, indicating an expected increase in revenue. The transition was not governed by economic growth, while the poor resolutions of the current account deficit widened the potential economic risks. Naturally, the economic development is further explored by the examination of the social and institutional phenomena that affect the distribution of rare resources model, both in the present and in the future. It is thereby necessary to take into account the social, political, and institutional mechanisms, from a public and personal point of view, with the goal of rapidly increasing the level of living standards of the poor population. Angeloni argues that integrations cannot provide rapid structural transformations in the economies of the Central and Eastern Europe countries, unless the process of integration is accompanied by adequate structural reforms (Angeloni, 2005). In the European Union countries, the outflow of foreign direct investment reached almost 3.5 billion euros by 2008, while foreign direct investment inflows were slightly below 2.4 billion euros. Furthermore, Central and Eastern European countries agree that the European Union association is the crucial path of increasing the production and productivity of the country on the micro level, as well as achieving structural changes. Although the authors’ opinions are firmly divided on this issue, the majority advocate for the optimistic theory regarding integrations. It is believed that the countries of Central and Eastern Europe, members of the European Union, showed economic expansion with an increase in productivity in the first decades after reforms. Some authors suggest that Serbia needs foreign direct investments in the amount of approximately 4 billion euros annually (Stefanović, 2012). The interest of a country with a foreign direct investment is definitely a rapid development based on invested foreign capital. On the other hand, the interests of investors can be numerous, from conquering new markets and expanding existing ones, with a goal of increasing capital, to the lower labor costs which allow lower production costs and lower prices on completed products. Thus, the better competitiveness on the market, and the lower prices and plentiful supply of raw materials, which ultimately lead to lower production costs and more benefits, are just some of the perks fueling the investors. For example, transnational companies allocate their investments by opening affiliates in various countries across the world and thus manage to protect themselves from the potential risks of doing business. Figure 2 shows FDI inflows for individual groups of countries (developed countries, countries in transition, and countries in development) as well as globally. We can see that the global FDI inflow amounts to $1.23 trillion in 2014, which is a downfall from $1.42 trillion in 2013. This is mostly explained by the instability of the global economy, political uncertainties, and geopolitical risks for investors. In addition, new investments have also been neutralized by some major disinvestments. The decline of FDI contradicts the movement of microeconomic variables such as GDP, trade, capital investment, and employment, as presented in table no. 4. That said, UNCTAD predicts an increase in global FDI rates in the amount of $1.5 trillion in 2016, as well as $1.7 trillion in 2017. On a global level, according to other surveys, in the upcoming period of foreign capital investments, it is expected that investments will mostly come from the countries in development such as Asia, Europe (Eastern and Western), and North America.